Formal communications within the club are by means of our magazine 'BARBUS' and a Newsletter which are published at two monthly intervals. 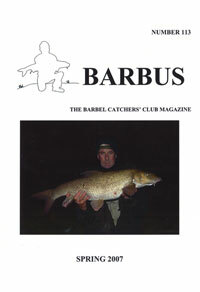 'BARBUS' is produced entirely from within the club and it is a condition of membership that all members contribute at least once per calendar year. 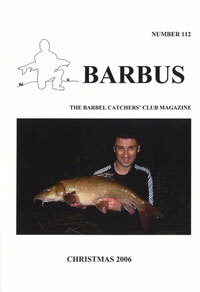 Articles vary from tales of captures, new ideas, humorous experiences, etc., to ones on barbel behaviour and the general enjoyment of barbel fishing. The selection offered here for public viewing offers a good example of what is required from each member. We hope you enjoy them. PURE CONJECTURE & IDLE SPEC..